Soviet heavy industry, which helped the country win the Second World War and become a superpower, was largely created with US assistance. The Soviet authorities did what they could to keep it all hush-hush. 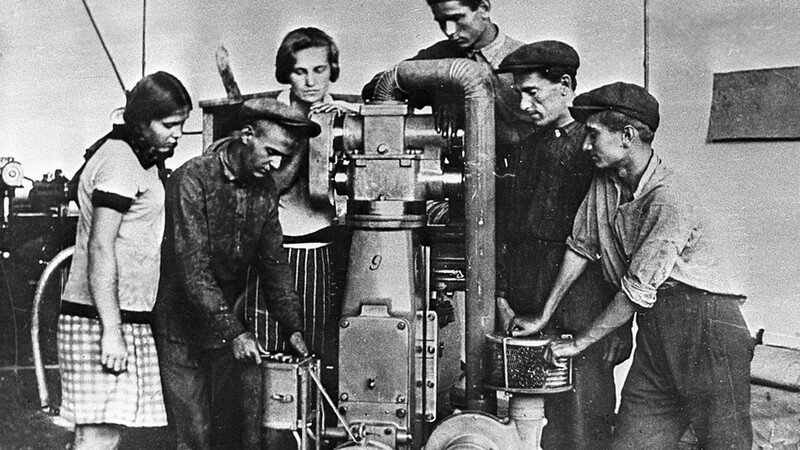 In the mid-1920s, the young Soviet state, after a baptism of fire in the long and devastating Civil War (1918-1922), was a weakened country with a huge agricultural sector, high unemployment, and backward industry. As if that wasn’t bad enough, it was encircled by hostile states. Fine in theory, but there were practical problems to overcome. Soviet specialists had resources, but absolutely no experience of modern industrial construction. As a result, the incredible decision was made to engage foreign professionals from the capitalist world. A number of renowned foreign companies were invited to take part in the Stalinist industrialization, among them Siemens-Schuckertwerke AG, Ford Motor Company, and General Electric. 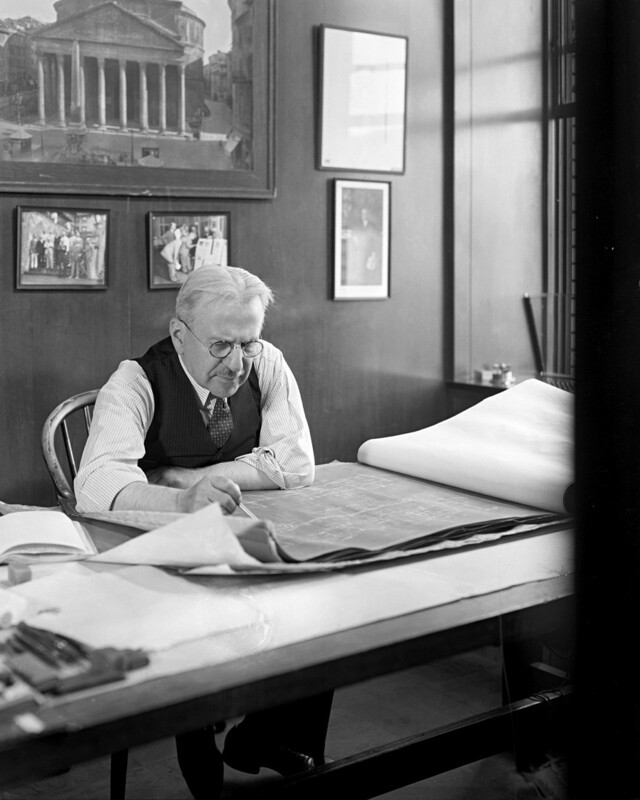 But the most significant mark was made by industrial architect Albert Kahn and his Detroit-based firm Albert Kahn Associates. Kahn’s industrial architects designed and built industrial facilities, using the so-called “conveyor-belt” method of construction. Dozens of plants were built under this system, speeding up the construction process with minimal costs. Kahn and his methodology were a real find for the USSR, since in the new Soviet state decisions about industrial construction were largely unsystematic and spontaneous. The individual approach of Soviet specialists, lacking a view of the bigger picture, meant that plants often took two years to build, whereas Albert Kahn got the job done “conveyor-style” in 3-6 months. It was the “kick in the pants” that Soviet industrialization needed. 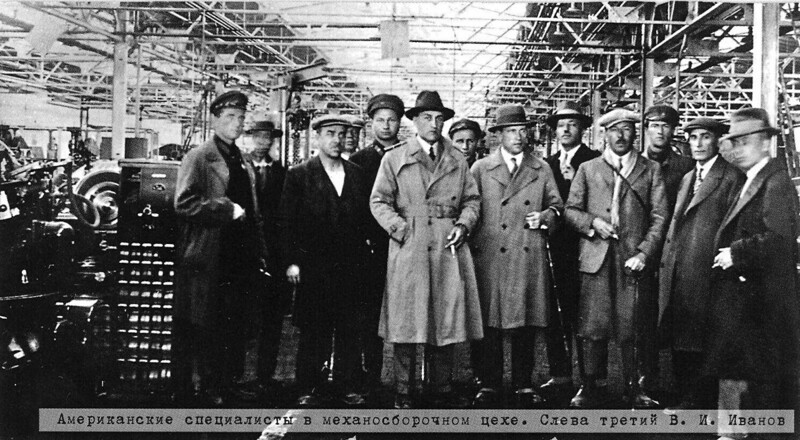 In 1928, several dozen engineers from Kahn’s firm arrived in the USSR under the direction of his brother Moritz. Although Albert himself never visited the “Land of the Soviets,” he viewed his mission in Soviet Russia as something more than just business. In 1929-1932, in collaboration with Soviet experts keen to acquire valuable foreign experience, US engineers built 571 industrial facilities across the country: from giant factories, like the tractor plant in Chelyabinsk, to small workshops. It was Kahn’s architects who designed and built one of the first large industrial enterprises of the USSR—the famous Stalingrad Tractor Plant, which produced and repaired T-34 tanks during the Great Patriotic War. The plant was built in the US, dismantled and transported to the USSR, and then reassembled on Soviet soil in the space of six months under the supervision of US engineers. It was such an enormous success that in 1930 Kahn’s firm even became the Soviet government's chief designer and consultant on industrial construction. But this favoritism didn’t last long, and soon the Soviet leadership decided to rid the country of foreign companies. In 1932, the Soviet Union faced the consequences of its ill-considered policy of uncontrolled grain sales abroad to pay for rapid industrialization. The ensuing financial crisis and famine compelled the government to terminate contracts with Western companies, including Albert Kahn's. 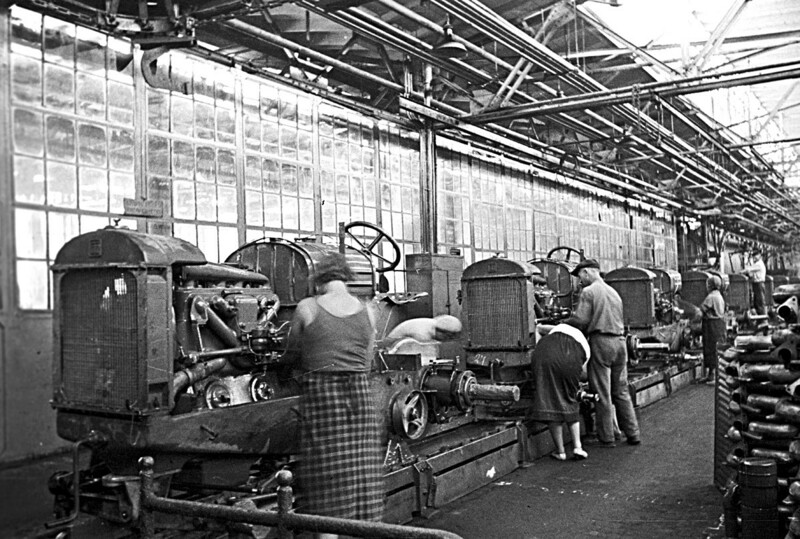 Another important factor was that civilian factories in the USSR were being gradually militarized. According to the plan, the tractor-building plants were to produce not just agricultural machinery, but also tanks, which proved highly effective in the subsequent war against Nazi Germany. Under no circumstances could foreigners be allowed to witness the secret militarization of Soviet industry. Ideology also began to play a role. The helping hand of the imperialist Western powers in the creation of Soviet heavy industry was downplayed at every turn. Previously common terms such as “US-type railway gate” or “US-type metal column” were erased from scientific articles and official documentation in the mid-1930s, when foreign companies had already left the USSR.